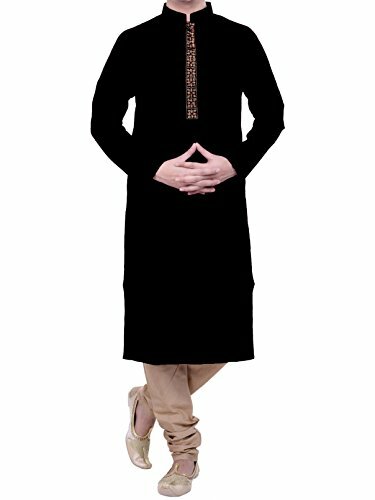 This elegant cotton two-piece men's Kurta Shalwar is delicately embroidered on the botton strip and comes with a golden/beige Shalwar. Available in various rainbow colors to suit the occasion. If you have any questions about this product by Kurti Mania, contact us by completing and submitting the form below. If you are looking for a specif part number, please include it with your message.